The dumb-waiters which will be discussed today are the free-standing furniture pieces which originated in England in the early eighteenth century. [Author’s Note: The small box-like manual elevators used in many upscale homes are known in America as dumb-waiters, but in England they were known as service lifts.] The free-standing dumb-waiters were often delicate pieces which had their origins in the lavish dessert banquets of the upper classes in the early eighteenth century. By the turn of the nineteenth century, dumb-waiters could be found in the majority of the homes of the upper and middle classes, where many of them not only served wines and tasty treats but some also protected both ladies’ delicate complexions and their secrets. A favorite form of fashionable entertainment among the upper classes of England in the early eighteenth century was a fruit or sweetmeat banquet. Essentially, these were grand desserts which were set out very elegantly, usually on a long table in a large drawing room. The table was covered with a white damask table cloth, upon which was set a line of a dozen or more tiered glass pyramids down the center of the table. Each tray of the glass pyramid was piled high with a wide selection of rich and colorful confections. In many fine houses, these glass serving pyramids were surrounded with flowers, which not only adorned the table, but also released delicate scents into a room lit only with dozens of candles. Plates, knives and napkins were set along the edge of the table, for the convenience of the guests, who served themselves. Most of the chairs in the room would have been pushed back against the walls and rather than being seated, the guests would stroll around the room, stopping here and there to converse with friends and acquaintances. Wines were served by several goblet boys and/or waiters, who circulated around the room with trays full of glasses, along with flasks and bottles of wine. Though most guests at these sweetmeat banquets did enjoy wine with their sweets, the presence of all those waiters and goblet boys put a considerable damper on conversation. It was well known at that time that servants were always listing for any tidbit of information they could use to blackmail the people concerned or to sell the secrets to professional blackmailers. The more embarrassing and intimate the indiscretion, the higher the price the sharp-eared servant could demand. Thus, guests at sweetmeat banquets had to mind their tongues and refrain from discussing the juicy gossip in which they were most interested. By the late 1730s, some clever furniture designer or cabinet-maker found a solution to this problem. They reinterpreted the tiered glass pyramid on a larger scale, in mahogany. This completely English furniture form was called the dumb-waiter, since it would serve in place of a human waiter. These mahogany "waiters" were both deaf and dumb, and were therefore unable to hear or tell secrets. Thus, they became popular in upper class homes, especially for sweetmeat banquets, almost overnight. Early dumb-waiters were almost always made of mahogany, the most elegant and fashionable wood of that age. They were constructed with a single, central carved or turned shaft, typically supported on three arched legs which terminated in claw and ball feet. Most of these dumb-waiters had casters attached to their feet so they could be easily moved around a room. The earliest casters were made of layers of thick leather, but by mid-century, brass casters were more common. The ornamental central shaft would support three, or sometimes four, round trays of graduated sizes, also made of mahogany, which were affixed so that they would revolve around the shaft. In addition to being beautiful and fashionable, mahogany was an exceptionally hard and strong wood which could take a very hard, smooth, high gloss polish, known in the trade as "teaboardy." This was the same type of finish which was used to finish tea trays and tea boards, since it made the wood nearly impervious to moisture and heat. Some of the trays had a raised edge, carved from the mahogany board of which the tray was made. Other trays were flat, with the addition of a raised gallery edge, usually about a couple of inches high. On these hard, glossy finished trays could be placed the wines and confections which were served at a sweetmeat banquet, thus eliminating the need for eavesdropping servants. Gossip and all the popular on-dits could then flow freely in conversation at these fashionable banquets. Dumb-waiters outlasted the fashion for sweetmeat banquets and they steadily grew in popularity though the rest of the eighteenth century. By the end of the century, they had become so popular that the form had been exported to France and other countries on the Continent, where it became known as the table servante. At the turn of the nineteenth century, dumb-waiters were a common furniture form which could be found in the homes of both the upper and middle classes of England. These later dumb-waiters were made in a number of other materials beyond the very costly mahogany and in a much wider range of styles. The traditional composition of three or four circular revolving trays in graduated sizes affixed to a decorative shaft set on a tripod with casters attached to the feet was no longer the only form of dumb-waiter which might be seen in a Regency home. There was much more variation in both the shape and the cost of the dumb-waiters which were made during the Regency. Instead of a set of circular trays of graduated sizes, from small to larger and larger trays down the shaft, some new models of dumb-waiters had fewer, but larger trays. In some cases the top-most tray was the largest, with one or two smaller trays below. One popular form was made with slender shafts or pillars which separated the trays from one another, instead of the central shaft of earlier models, thus creating a set of trays with no central obstruction. This tray unit was then set on an ornamental shaft so that the whole unit could revolve. Perhaps because additional stability was needed for this form, the shaft often rested on four, rather than three, feet. However, this form of dumb-waiter retained the traditional casters attached to the feet. In an even greater departure from tradition, some dumb-waiters of the Regency era were rectangular rather than round. The rectangular trays typically had a raised gallery edge and the two or three trays, like those noted above, were separated by slender pillars. The tray unit was set upon four legs which were often decorated to look like Neo-classical pillars, with carved reeds or flutes. The trays on these rectangular dumb-waiters were usually not made to revolve, but were stationary. Very few of these rectangular dumb-waiters were fitted with casters. Though there were dumb-waiters which were made of mahogany even during the Regency, they would be found only in the homes of the most affluent, since mahogany was still very costly. Often, these mahogany dumb-waiters would be highly carved and embellished with ormolu galleries around each tray as well as other ormolu fittings. Other woods, such as cherry and satinwood were used in the making of dumb-waiters, which were less expensive than mahogany, but still quite decorative. For those of lesser means, woods like ash or deal would be turned and painted in a wide array of designs to create very pretty and affordable dumb-waiters. There was another major change to dumb-waiters in the Regency, many of the trays on the better pieces were made of marble, which, like the early teaboardy finish on mahogany, made the surface of the trays impervious to heat and moisture. Most upper and middle-class dining rooms during the Regency were furnished with a pair of dumb-waiters. The majority were set on casters so they could easily be moved around the room to be positioned as needed. For large formal dinners, dumb-waiters were usually placed near the sideboard, thus providing additional serving space during the meal. However, when the master and mistress wanted a truly private meal, the dumb-waiters were placed at diagonally opposite corners of the table, eliminating the need for the sideboard and the servants who would serve the meal from it. One of the pair of dumb-waiters was placed near the mistress and the other one near the master. Typically, wines, and often a selection of sauces and other condiments, were set up on the dumb-waiter which was located near the master. On the dumb-waiter which was placed near the mistress, were the plates and cutlery, as well as butter, a selection of cheeses, fruits and sweetmeats for the dessert course. For these private meals, the servants would set out the dishes of the main course on the table and then they would all withdraw. The couple could then enjoy their dinner in peace, serving themselves the wine and the dessert course when they were ready, all in complete privacy. 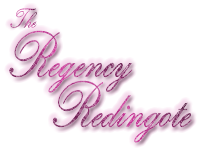 Some Regency ladies had one or even a pair of dumb-waiters in their morning room or private sitting room. These were used when the lady and her friends wished to enjoy a private coze with tea and other refreshments, but without the presence of eavesdropping servants. If a lady preferred to entertain her callers in the drawing room, she might then have one or two dumb-waiters set up there, again to ensure their conversation remained completely private and out of ear-shot of the servants. Some of these dumb-waiters were made to serve another purpose, especially for ladies. Dumb-waiters with a central shaft and usually with only one or two trays was made so that the trays would fold in half to become a flat half-circle suspended on the shaft. These folded trays then became a fire screen which could shield a lady’s complexion from the heat of a fire or her eyes from the glare of the candles. Dumb-waiters with folding trays were also easy to push up against the wall when they were not in use. A dumb-waiter might also be set up in the room of an invalid, to ensure the necessary medical preparations and any other nursing accoutrements were all close at hand. In the latter decades of the nineteenth century, some dumb-waiters were cut down and made into small tables. But quite a number have survived into this century in their original form. Click the links to see a selection of photos and other images of Georgian Dumb-waiters and Regency Dumb-waiters. Either style of dumb-waiter might be found in a Regency home. The country house of a old, established family might have several Georgian dumb-waiters in the dining room and other rooms of the house. More modern, Regency style dumb-waiters might be seen in a fashionable London town-house. Dear Regency Authors, do your hero and heroine want to share a meal in private? Might a pair of dumb-waiters make that meal possible, by placing all they require for their meal close at hand, and eliminating the need for servants? Perhaps a married lady has suddenly started using a dumb-waiter when certain guests pay her a call. Something she has never done before. Will that raise her husband’s suspicions that something is going on? How might that play out? Nearly all the circular dumb-waiters had trays which revolved around the central shaft. Could one of those revolving trays be used to surreptitiously switch drinks, thereby delivering a sedative to an unsuspecting victim by a villain? Or, by literally turning the tables on the villain, return to him the glass in which he had placed a dose of poison intended for the hero or heroine? Dumb-waiters were small and unobtrusive pieces of furniture which were nearly ubiquitous in Regency homes. How else might one or more of them play a part in an upcoming story set during the Regency? This entry was posted in Furnishings and tagged Drinking, Eating, Furniture, Interior Decor, Regency. Bookmark the permalink. I didn’t know that was what those pieces of furniture were called, or that this was their function. I have admired them, but assumed that they were used for holding cakes etc. to have with tea, possibly when callers visited. I love your story ideas! Thanks very much! I thought Regency authors might like to know about dumb-waiters, since it would give them a period-accurate means by which to allow their characters to have a private meal or light refreshment by excluding the servants. Because dumb-waiters were in common use by the Regency, there was a wide range of that furniture form, from very plain and simple to very ornate, so there would have been a dumb-waiter which would suit any decor, from a simple country cottage to the finest London town-house. “… thereby delivering a sedative to an unsuspecting victim by a villain”: Splendid idea, Kathryn! 3 cards are placed on each tray. The other cards are dealt to the players. Each player makes a bid about many tricks he will achieve in a game of 6 rounds. Then the trays are turned (probably pushed rather roughly). When they stop, each player must play a card to the card on the trays that happens to stop before (or closet to) him. Points are given and taken according to how many tricks a player made and how well he did in achieving his bid. Fortunes to win and lose – or do the 3 gentlemen play for the right to ask for the hand of the ravishing heiress who has just arrived in London? One hopes the ravishing heiress in question never hears of this particular game of hazard. If she has any spirit at all, things could go very badly for those involved in this game! But then again, is that not part of the fun of romance? Anna, I love your game of chance! I thought immediately of the possibility of passing surreptitious billets doux or spying letters by rotating the table to the requisite person, with the letter hidden under a plate, or even inside some delicacy… and what happens if somebody reaches over and picks it up as the table is rotating? These have survived of course as the humble, but useful, tea trolley, though one of the uses our tea trolley was put to was scarcely standard. Happy childhood memories of playing on that trolley and riding it places… which is another plot bunny, if a new governess catches the children riding on the dumb waiter… because it really is irresistible…. II suppose if I don’t mention the non standard use, you’ll be wondering,,,it’s not very regency… the trolley was concealed behind a cardboard painting of a London bus, with the lower windows cut out, and the top as an open-topped bus, and somehow accommodated 8 mixed infants singing lustily ‘Pretty little Polly Perkins of Paddington Green’. The bus front was adorned with the destination board ‘Kendall Rise to Parsons Green’ taking the mick out of my Dad, surnamed Parsons, and the headmaster, surnamed Kendall [there is a Parsons Green, and a KENSALL Rise and Kensall Green, [where the big cemetery is]. Dad was quite well known for the lavishness of the productions he put on. I also remember helping to paint totem poles – I can’t recall what that was for – and hemming scarlet strips to do ‘Scarlet ribbons’ with a net drop of a couple of hundred, and making gems out of coloured foil for a production of Snow White [for the dwarves]. Kat- yet another very detailed blog. I don’t think I knew that these were called dumb waiters. I only knew about the term being used for a service lift, as you mention. So thank you. One question I have though is where you got the term ‘teaboardy’? I have never heard of it and can’t imagine what type of finish it would be. Probably the most durable finish in Georgian times would be an oil/resin varnish. Glad you liked the post. I had never heard of the term “teaboardy” either, until I was doing some research on dumb-waiters (and I did my MA on Material Culture, with an emphasis on furniture!) I found it in a book on English Furniture by Therle Hughes, written in the 1950s. I am not at home, so cannot give you the full citation. Unfortunately, she never provided footnotes or a bibliography in the majority of her books, so I have not idea where she got it. But she and her husband were in the trade for a long time, and wrote a number of books on mostly English antiques. It is possible she learned it in conversation with another dealer or a collector. Kat, raw or boiled linseed oil? I have an old recipe for furniture polish involving beeswax, carnauba wax and linseed oil, but that doesn’t specify either. You use raw to get putty working again and boiled on semi-glazed tile flooring… I’m guessing it’s raw, and raw for the teaboardy, but I am left wondering. It is important to distinguish between furniture polish and furniture finishing. Polish is applied over the life of the piece, to renew and protect its surface. Finishing is literally the final phase of the making of a piece of furniture. Finishing is done to protect the surface of the raw wood and to bring out the grain. Traditional linseed oil finishes on wood furniture was done with raw linseed oil. It was, and still is, an incredibly tedious process, since it can take weeks, or sometimes months, for each coat to dry before the next coat can be applied. But there is, even today, no other finish which brings out the beauty of the wood grain. However, if I remember correctly (it has been a long time), when shellac or other additives were part of the finishing mixture, the oil and the additives were boiled together prior to use. Also, boiled linseed oil was a traditional sizing/adhesive for the application of gold leaf. Many thanks! Things that are worth doing take time… like French polishing. Lovely post, Kathryn, as usual. To keep the guests at my wedding dancing all night, I used two-tiered plate holders carrying fruit and cheese. It worked! Ever since then I’ve harbored a fondness for that pie plate shape. Sounds like you perpetuated the sweetmeat banquets of early eighteenth-century England at your wedding. What fun!